As a juvenile agency director who navigated the need to serve young people of all ages and offense backgrounds (one third of the youth I served were more than 18 years old, and a significant number had serious offense histories, including behaviors that could have seen them Direct Filed), I had the opportunity to review the data in D.C. and around the country. Systems are looking at youth who are being tried as adults, and the youth who are lucky enough to stay in the juvenile system, and seeing similarities between the two. Massachusetts: To help frame the issue for policymakers on why the 17 year olds from the adult court system could be served in the juvenile justice system, researchers looked at the arrests of youth under, and over 17. They found that their 17 year olds are arrested for the same, predominantly low-level, non-violent offenses as younger teens. Massachusetts recently “Raised-the-Age” so that young people will no longer be exposed to adult jails and prisons. As a former juvenile corrections administrator, what this data says to me is, there is very little difference between the youth who are ending up being tried adults, and those youth who are remain in the juvenile system. 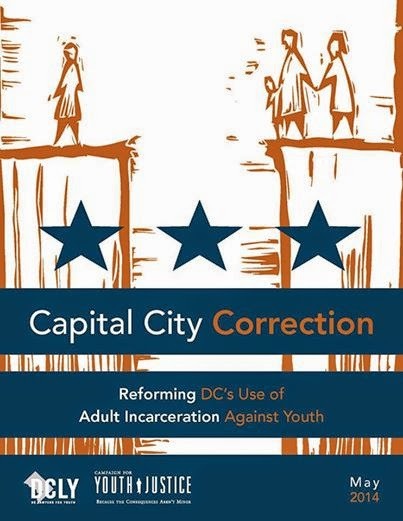 But under D.C.’s Direct File statute and other transfer laws, young people who could be served by a juvenile department are being exposed to an adult jail, and face all the negative outcomes that come with being in jail — higher risk of harm, isolation and lack of appropriate services. Prohibit pretrial detention of youth in adult facilities: all youth should be detained, pretrial, in the juvenile justice system, and kept out of adult jails. Washingtonians need look no further than the “DMV” (D.C., Maryland, Virginia) to see what they might emulate here. The Virginia Legislature passed a measure that will help keep Virginia youth out of adult jails. This year, Maryland passed legislation that restores some judicial discretion to transfer youth from adult court to juvenile court (the first step taken on reforming Maryland’s juvenile transfer laws in a decade). If Washington, D.C. made these changes, we would improve the chances that the city could deter future crime, promoting the rehabilitation of young offenders and improving public safety. Marc A. Schindler is the Executive Director of the Justice Policy Institute, and former general counsel and interim director of the Department of Youth Rehabilitation Services in Washington, D.C.